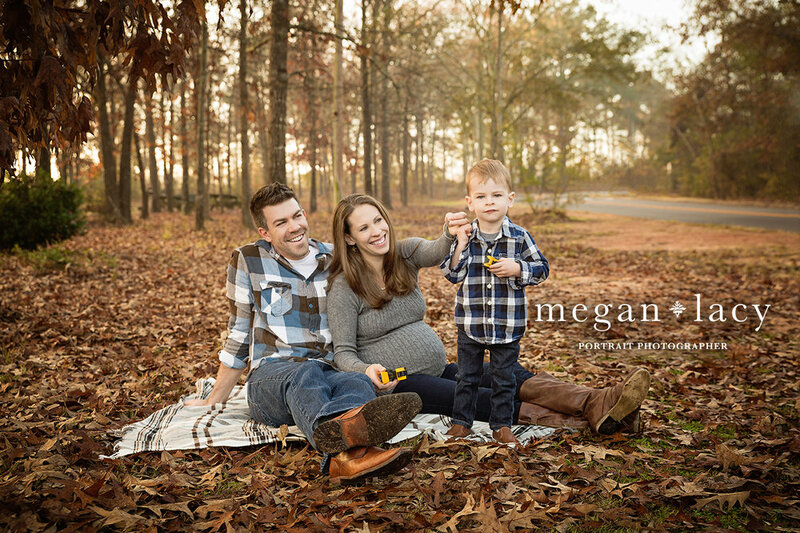 Feel empowered when you choose your family portrait photographer. Use these five tips to help! With so many family photographers out there it can be overwhelming to find the right one for your family. You're trusting someone else to capture your family's dynamic, and that’s a big investment. So to help in your search for the perfect photographer for YOU, here are 5 tips I’ve found after 5 years of experience, both as the photographer and as the client. 1. Not all photographers are created equal. Like I mentioned already, we're starting with a large group of photographers, so let's start narrowing it down by defining what you want photographed: your family. But we need a few more details... Do you love candid moments or are you looking for formal posed portraits? Are you interested in an on-location session or one in a studio with a backdrop setup? These may be factors that you haven't thought about or items you don't have preferences on but the key takeaway is this: Look for what you want in your portraits in the work of the photographer. If you only see studio work, you will most likely not be going on location with that photographer. If you aren't sure of what you want, that is ok too. A photographer should take the time to talk to you about it personally if you contact them with a serious inquiry(Bonus: you'll have a good indicator of the level of service you'll receive). 2. Ask a friend who has family portraiture you LOVE. Someone who has gone through the entire process will be able to gauge the experience from start to finish. Referrals are fantastic when on the hunt for a photographer because your friend will be honest with you. Were they happy with the way the photographer interacted with their family? Did they get great service in addition to quality images? Are they happy with the quality of products they received? Would they use their photographer again? Be wary; don’t use a photographer just because your friend did. Your needs could be different but it is a great place to get a solid review. I'm talking both time and money here. It's tempting to look for an inexpensive photographer to save money but know that if a photographer is very inexpensive you may want to ask yourself, “why are they so inexpensive?”. Are they a legal business? Are they booking six sessions a week and won’t have the time to give your session any attention? How much experience do they have? **Personal Anecdote time: I made a choice on a photographer to take portraits of our family before our son turned 1 (Something that's very difficult to do yourself when you are the photographer!). The images were not to the standard that I was expecting and now I was left in first-time-mom-panic-mode thinking, "I won't have any sweet moments with my baby before he isn't a baby anymore!" I spent hours combing through other photographers trying to find someone who had a style I loved and had availability and now had to pay a second time for the images I wanted months ago. A lot of tears and time were lost in this process and the value of those images are priceless. Trusting your photographer and having open communication is key to a successful portrait session. 4. Be sure you understand all of the photographer's policies before booking. – What will happen in the event of bad weather? - What is the cancellation policy? – When will you get to view your portraits? - Are their printed portraits/wall art/albums/etc. archival? - Do they offer any additional services such as gallery wall design, custom framing, installation, or delivery? 5) Get to know the photographer. A great way to get to know a photographer before you book is with a consultation. You are inviting this person into your family's life and dynamic so it is good to get a feel for their personality. If you are still in the early search stage, check their blog and social media pages. If you like them and feel like you might be friends off-screen, you are usually on the right track. I usually meet with my clients a few times throughout the process to get to know each member of the family, making sure the "ice is broken" way before capturing such tender and joyful moments together. One size does not fit all in this case. Every family's needs are a little different and each photographer is a little different but I hope you feel empowered to find your dream photographer! If you're in Clarksville, TN or the surrounding area, I'd love to meet you over coffee and start collaborating!